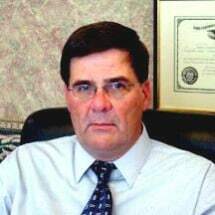 The Law Office of Douglas H. Smith is a very active general practice/litigation firm for cases primarily in the State of Rhode Island with over 25 years of courtroom experience. Whether your case involves a seller/buyer breach of real estate agreement, arbitration of a large damage dispute, business acquisitions/formations, employee breach of confidentiality agreement, setting up a living trust/will, or an insurance company’s wrongful refusal to pay on an owner’s policy, we have handled all these and many other cases, with proven results to our clients. Also, because of our broad-based legal background, if your case originally starts out as a business acquisition case, but later it becomes a partnership dispute with divorce implications, we can provide comprehensive in-house legal services, without the need to consult endless additional counsel. Finally, if your case requires the assistance of experienced consultants such as research scientists, civil engineers, medical doctors, nurse assistants, medical technologists, or private investigators, we are set up to work closely with these professionals in order to afford your case the best possible presentation.